Republic of Korea Ship (ROKS) Munmu the Great met with the Royal Navy ship HMS Defender in Salalah, Oman while both ships were supporting Combined Task Force 151 (CTF-151). HMS Defender transits the Suez Canal on her maiden deployment. HMS Defender had called into Salalah to refuel before continuing with her mission as part of CTF-151. This counter-piracy role sees her working alongside other warships to protect merchant ships from piracy in a vulnerable stretch of water between Somalia and Yemen known as the internationally recommended transit corridor. This involves the UK working alongside ships from a variety of countries that support the 30-nation Combined Maritime Forces based in Bahrain. In accordance with Royal Naval tradition, Commander Phil Nash, the Commanding Officer (CO) of HMS Defender, invited the CO of the ROKS Munmu the Great, Captain Kim Jeong-Hyun, aboard his ship to demonstrate the wide range of capabilities of the Type 45 destroyer. Commander Phil Nash greets Captain Kim Jeong-Hyun during a fuel stop in Salalah. 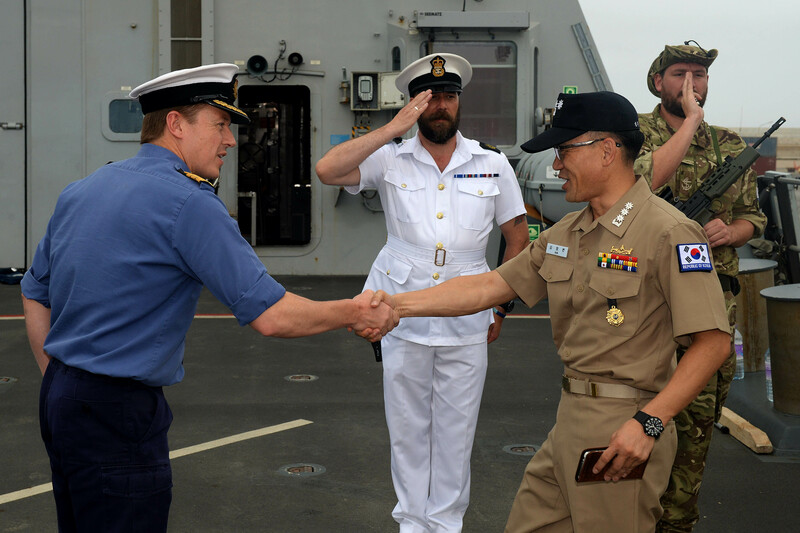 Commander Nash said: “It was a great pleasure to welcome Captain Kim Jeong-Hyun on board and provide an insight into how my ship’s company operate and work with coalition units. 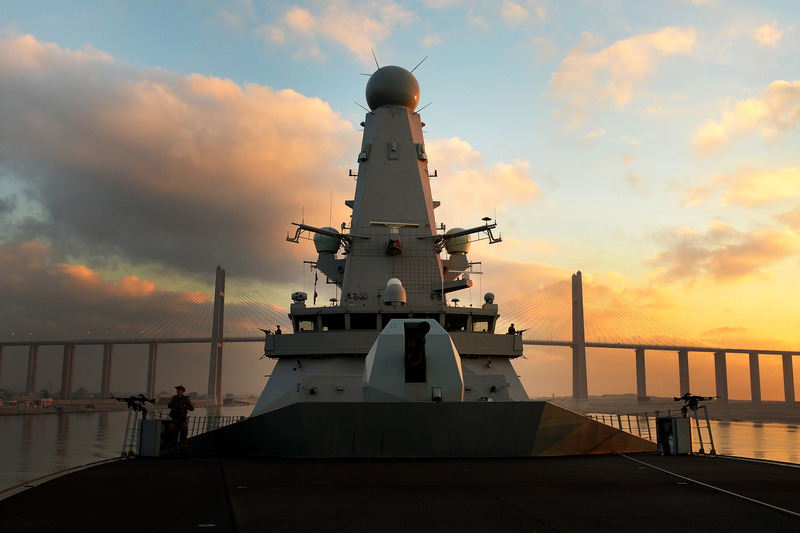 Prior to visiting Salalah, HMS Defender transited through the strategically important Suez Canal and took the opportunity to undertake additional training in preparation for patrols in the Gulf. 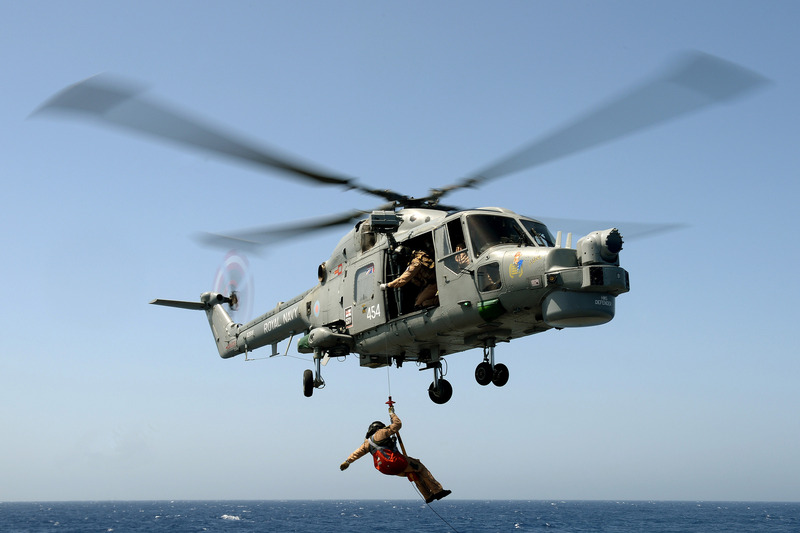 The ship’s boarding teams conducted fast roping exercises, gunnery teams fired the ship’s small calibre weapons and the embarked flight team conducted winching drills. 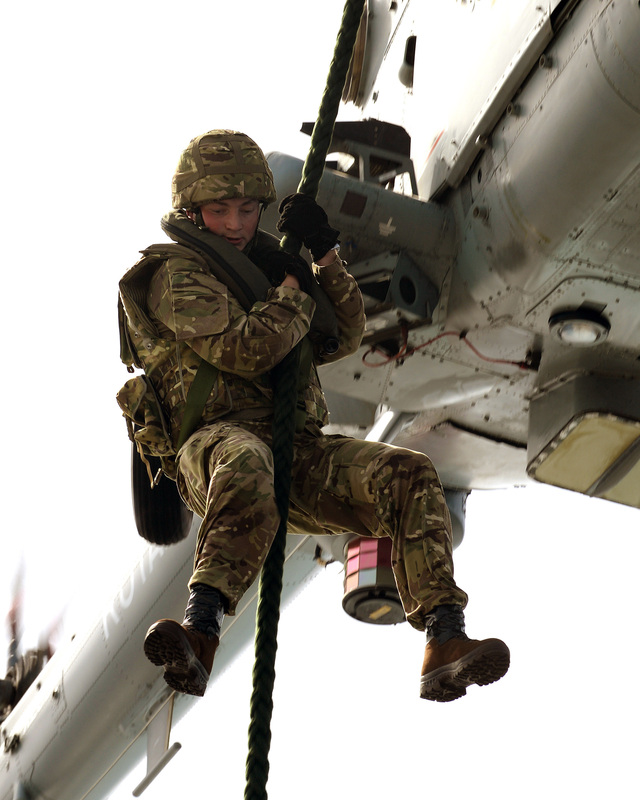 Leading Chef Jack Hendren conducts fast rope training on board HMS Defender. 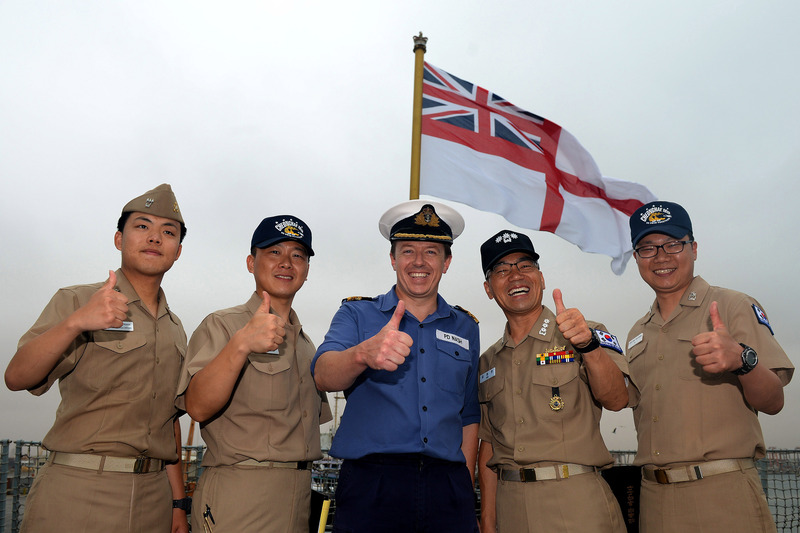 Commander Phil Nash, Commanding Officer of HMS Defender enjoys a moment with Captain Kim Jeong-Hyun (2nd in from right) and his ship’s company during a visit to Salalah, Oman. CTF-151’s mission is to disrupt piracy and armed robbery at sea and to engage with regional and other partners to build capacity and improve relevant capabilities in order to protect global maritime commerce and secure freedom of navigation.